Eh… What are you gonna do? 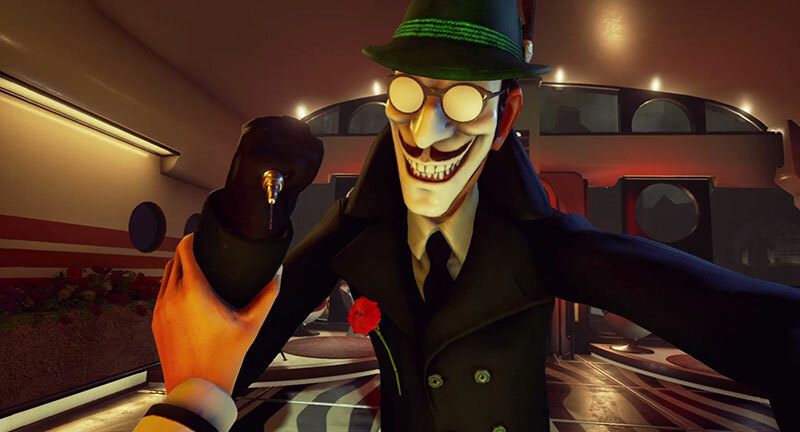 What are the best Indie Games to play in 2016? Well here’s a list! 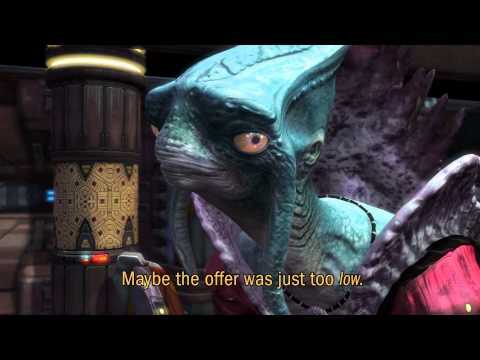 Over the last several years, as video games have become a huge industry, big name studios have have gotten scared of taking risks. And hey, it makes sense, a AAA video game is expensive to make. It’s a bit like Hollywood’s movie formula. But if you ever get bored with the same old mostly predictable(but still generally pretty good) big studio titles, take a look at some of these independently developed games. 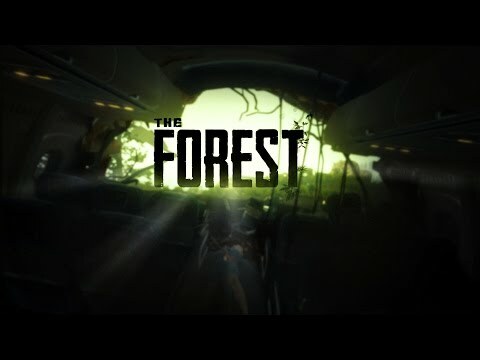 The launch trailer combines live action film and in-game footage for maximum effect. Most war games, you play as a soldier. If you’re good at it, an elite soldier. 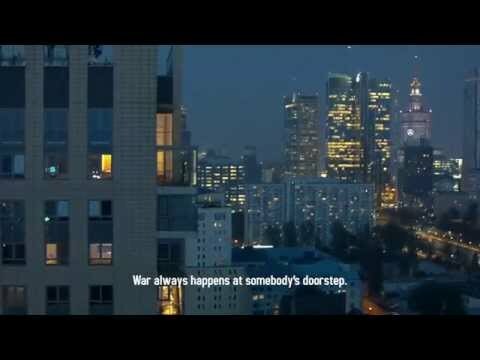 Not This War Of Mine. Instead, you play as a group of civilians trying to survive in a city besieged by modern warfare. In the daytime, there are snipers watching, so you’re stuck in your hide-out, crafting, cooking, surviving… And at night, the survivors go out and find resources. Dangers include snipers, bombings, and trigger happy soldiers from either side of the war. 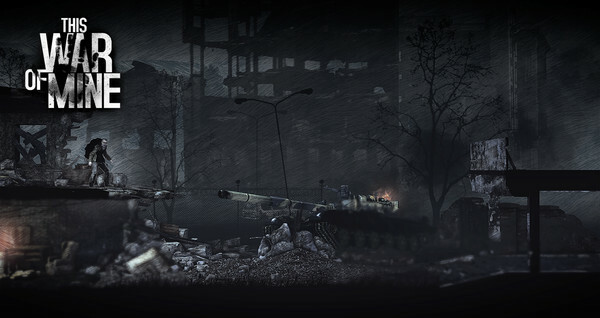 This War of Mine is a survival sim that really drives home the “War is Hell” message. Based loosely on the siege of Sarajevo, this game is quite a tear-jerker and is well worth playing. War is Hell, but if you play right, you just might make it through. 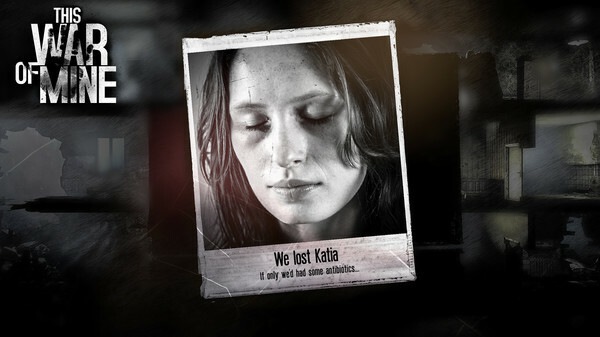 RIP Katia. If only we could have saved you. Comic-book style but still pretty creepy. 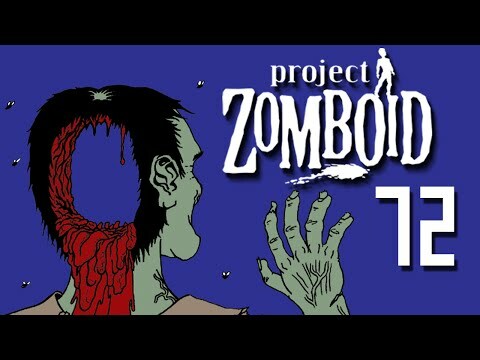 One thing nobody ever thinks about with RPG adventures: what does facing things like zombies, witches, and other assorted mutated freaks do to the average adventurer’s mind? Nobody ever thinks about food or disease or stress when they go on these quests. 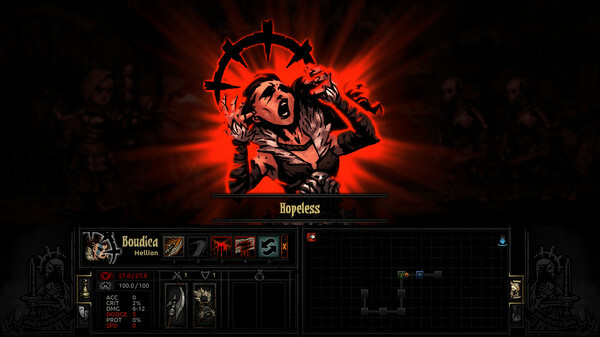 Darkest Dungeon does, though. You are the heir of a former noble family whose fortune was spent excavating a weird portal under your estate. As is usually the case when investigating weird portals, a bunch of abominations and monsters have popped out. So your job is to drive them back and redeem your family. You do this by hiring adventurers to go into your estate and seal the portal. The catch is that these adventurers may go crazy from all the unnatural BS happening, or crack from the stress, or go hungry. You know, things real people do. 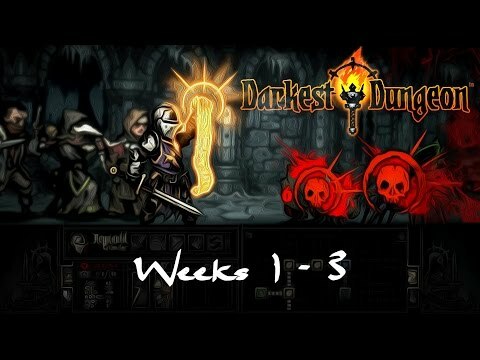 In this turn based dungeon crawler, you recruit your party members, train them, and then send them into the labyrinth to fight. 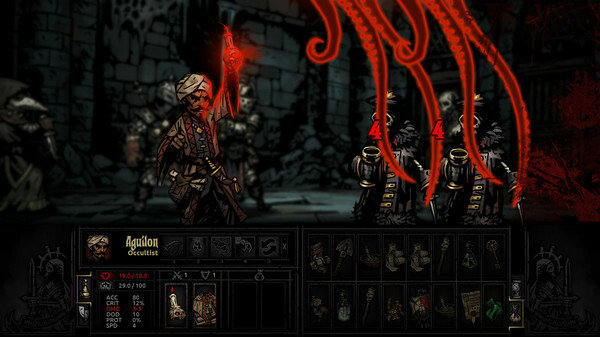 Each of the fifteen adventurers can come with any number of personality quirks or insanities, and can acquire more on the journey which can effect their performance in battle. Hopeless: Exactly what someone might feel after encountering that tentacle spell. 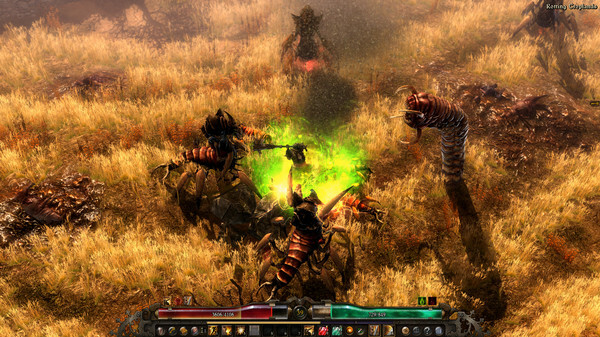 Three in-game weeks of gameplay. 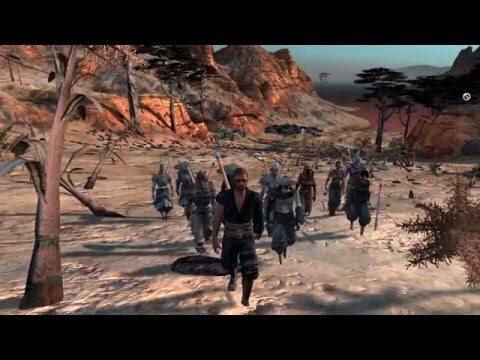 The release trailer shows off some of the features of the game as well as some pretty impressive graphics. Humanity is caught in a war between the Aetherials who want to use humans as a resource and the Chtonians who want to destroy humans before that can happen. The war has brought the world to ruin, as wars tend to do, and only a few small pockets of human survivors still exist. Among these, some who have survived contact with the two warring factions have started to show strange powers(you know, because an RPG needs magic) which has given the humans the confidence to fight back against the ones who destroyed their world. 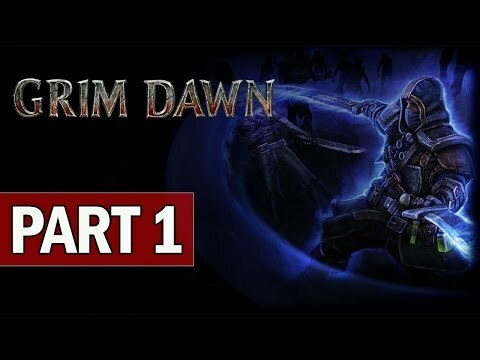 Grim Dawn features six base classes which the player can combine for an impressive amount of character customization. Nothing like a bunch of weird scorpion-sandworm monsters to start the day. Youtuber shows off the Nightblade class, the game’s Rogue equivalent. It’s home improvement with zombies! 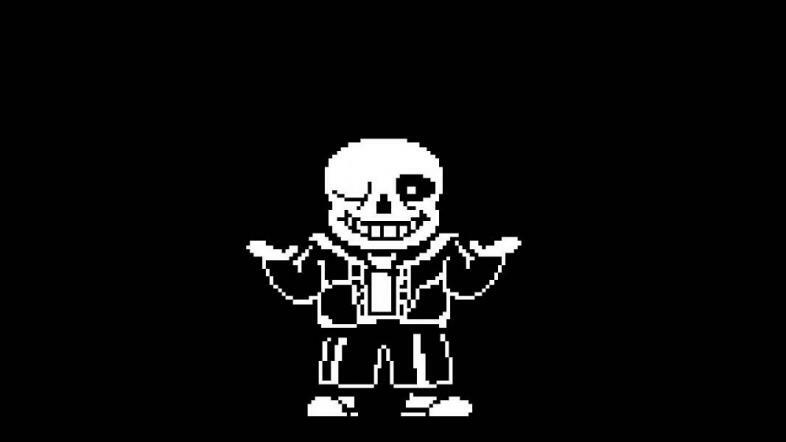 The world, of course, has ended. It was zombies. Again. Your role is to rebuild and survive as long as you can. 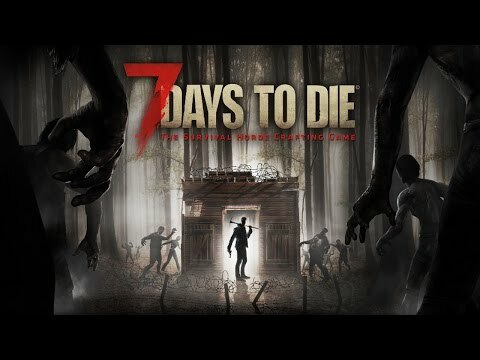 7 Days To Die is a survival horror sandbox game. 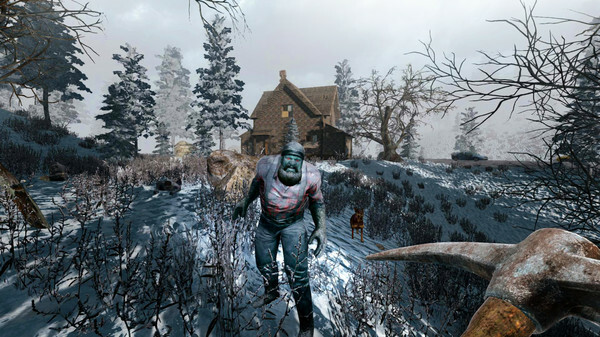 It has a day and night cycle in which, during the day, the zombies are slow and sluggish. But during the night, they’re actually dangerous. Daylight is for building defenses, finding resources, crafting weapons and traps… night is for fighting. 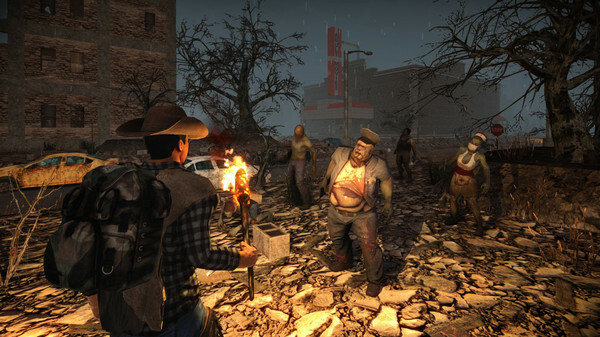 As said before, your goal is to survive as long as you can, with each night seeing more powerful zombies attack. Face it: you’re going to die, it’s just a matter of when. A hapless player finds himself in trouble. 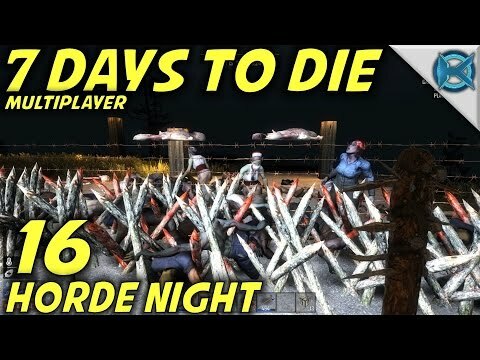 In which some players try to survive. Your aunt Juno has left you a starship. The galaxy is yours to explore, but you soon find yourself in the middle of a massive conspiracy surrounding a strange device called “the Spectre”. 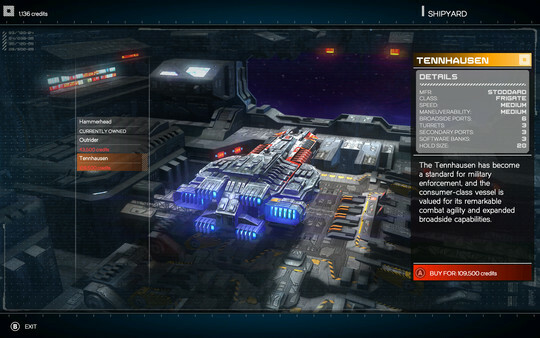 Rebel Galaxy is a space sim where you play as the pilot of a spaceship. You can play it as anything from a space opera hero to just a pirate, or anything in between. 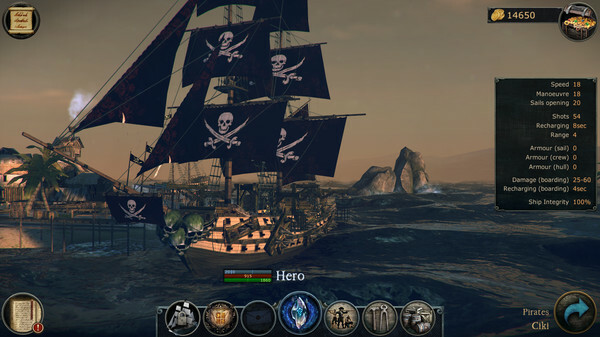 The main focus is on adventure and combat, which is naval based. In the game’s own words, “that means broadsides”(guns are on the sides of the ship). Obviously, as you advance in the game, make more money, accomplish things, you can upgrade your ship or buy a new one, and then can take on even more powerful threats. You know you want to buy it. 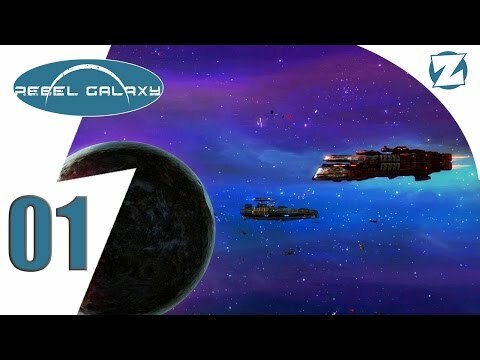 A gameplay introduction featuring a few space battles. You’re a pirate. Have fun. 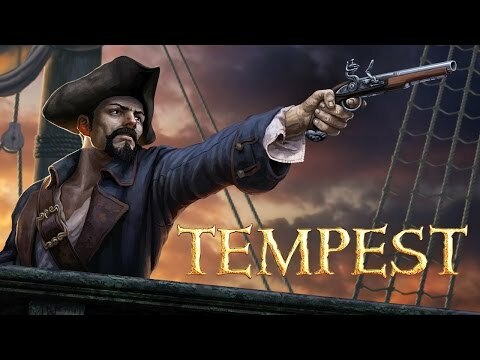 Tempest is an open world RPG in which you play as a pirate captain just pirating around a world filled with settlements, forts, enemy ships and giant sea monsters. 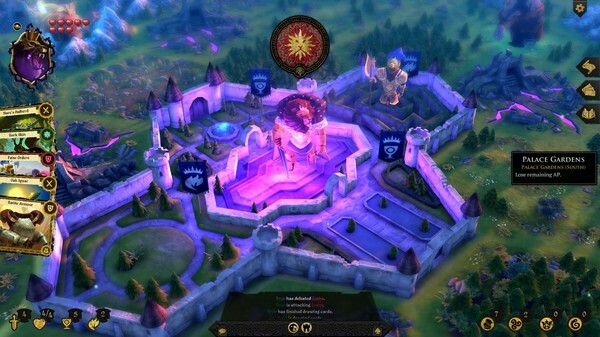 Being an open world action RPG, Tempest of course features a crafting and upgrades system. Don’t like how your ship looks? Change it. It’s that easy. As well as the usual pirate ship arsenal of cannons and mortar and all that, you can also find magical crystals that offer a variety of new abilities like bringing a meteor down on your foes or summoning the Kraken to fight for you. So yeah. 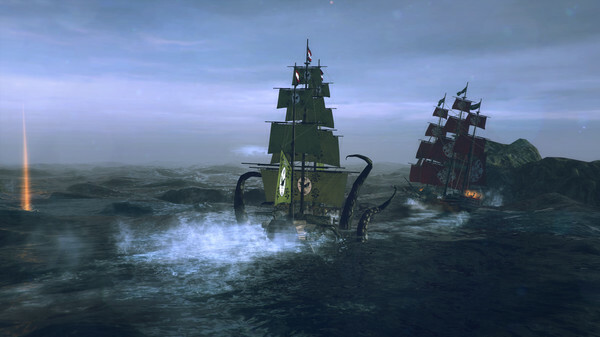 Pirates and sea monsters and stuff. Can I say it? I’m gonna say it. Release the Kraken! Your name is Hero but your sails say otherwise. 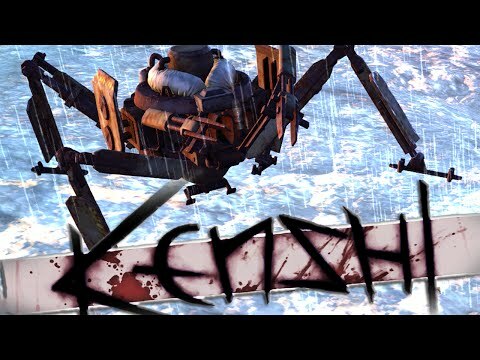 Here’s a guy fighting a Kraken. Because Krakens are awesome. You live in Kentucky, in a small town on the edge of nowhere. So it took the zombies a bit of time to get to you, but now they’re here and you have to survive at any cost. 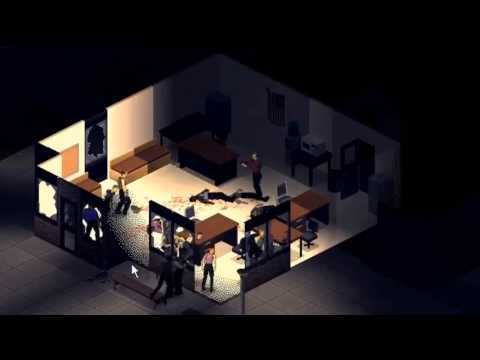 Project Zomboid is a pretty nifty isometric zombie survival game. 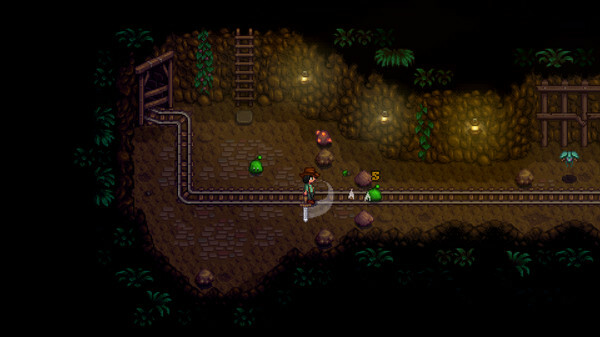 It’s also pretty standard in that you collect resources to build a shelter or find weapons, and try to stay alive. So what makes it unique? Well, the death of your player character is not necessarily the end of the game. You can make another character in that world(and even find your previous character’s corpse, though it’ll more likely find you first). The catch to that is that the new guy will start with zero experience and spawns at a random point. So you’re not just playing as a guy trying to live through it. It’s more like you’re inhabiting different survivors until they die, then you move to the next. As well as a day/night cycle, there’s also sort of a seasonal cycle as well. Something else that you don’t see too often: the player has to fight off things like hunger or thirst(pretty common in survival games) and depression or boredom(less common). Most games don’t deal with that too much, and it’s honestly quite refreshing to see it here. I will call this fort… Kentucky Castle! I really want to make a joke about how this diner’s food is to die for. Man journeys to the mall, which is the only place to be in a zombie plague. You’re not the chosen one. That means you can do whatever you want, I guess. You find yourself in a vaguely post-apocalyptic desert with nothing but a sword and maybe some clothes and coin. What do you do? 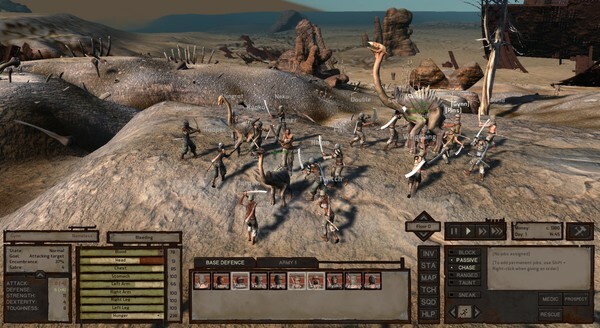 A big draw for Kenshi is that the player is not some great chosen hero like in every other RPG out there(I could name probably about fifty just in the last three years). If you want to be great, you better work for it. This game won’t give you any freebies, no dragonshouts or special magic swords here. Combat is squad based. You can gain party members in taverns and customize them just like you can your own original character. 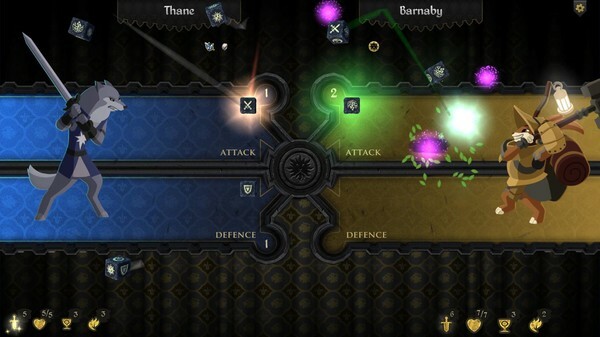 Combat plays out in a real time strategy sort of way. 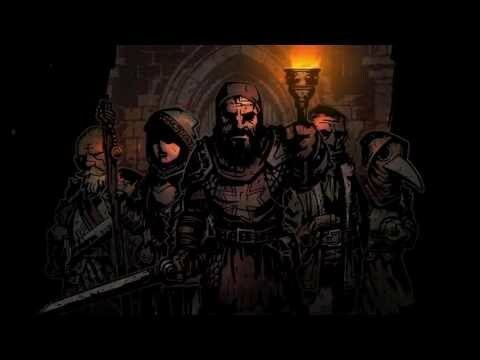 The game shows a surprising amount of realism with player afflictions. If a character has a hurt leg, he’ll limp, for example. The world doesn’t scale to you either. In the beginning, almost everything is stronger than you but it won’t adjust itself to your level. On one hand, it means that at some point the game might start to feel easy, but on the other, good luck getting to that point. Carry your teammates to safety. It’s in your own best interest. A battle with… I guess it’s a giant evil ostrich? Player journeys to the dreaded Floodlands. 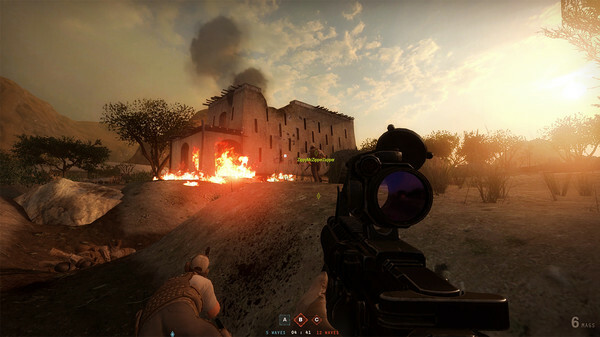 Insurgency: Molotov Spring introduces the first major content update for the FPS. There’s a war on in the Middle East, better join up and fight the good fight. Insurgency began as a Half-Life 2 mod, before gaining ground and eventually seeing full release. It’s a pure pvp tactical shooter with a sharp focus on realism. This means, you get shot, you die. You know, like in real life. You can of course use body armour to stave off damage, but only if you get hit in that body armour. Again, like in real life. The game is tense. You play as part of a small squad of soldiers trying to hunt down and kill the other squad. Due to the whole “realism” thing, you probably won’t see many large scale battles here, but rather many smaller skirmishes and “cat-and-mouse” games. The house fire is the distraction before we all go in guns blazing, right? 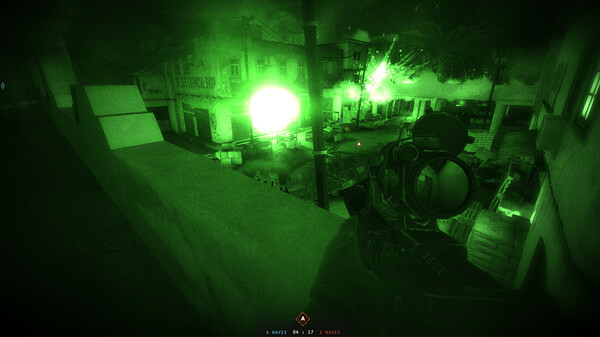 In night-vision mode, nobody can hear you shoot. 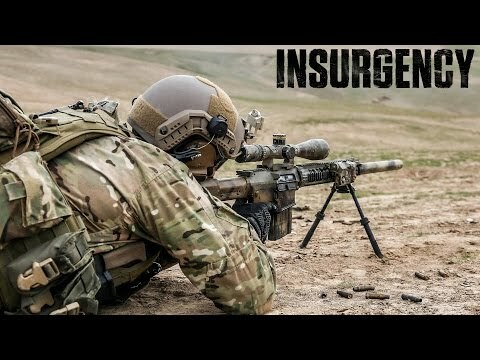 Here’s three and a bit minutes of sniper highlights from Insurgency. They’re just prisoners, after all. 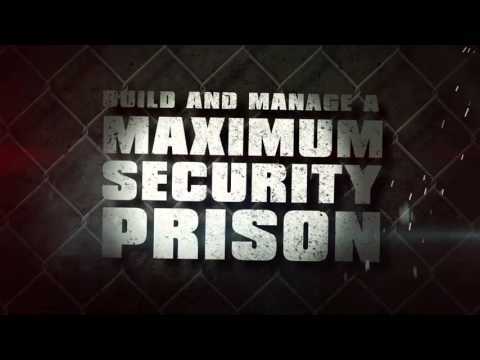 You’re in charge of building a sustainable, profitable prison. This is a lot more complex than it sounds. 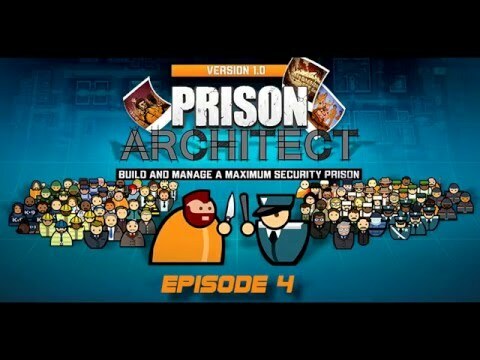 In Prison Architect, you have to balance building new prison buildings with managing the inhabitants. 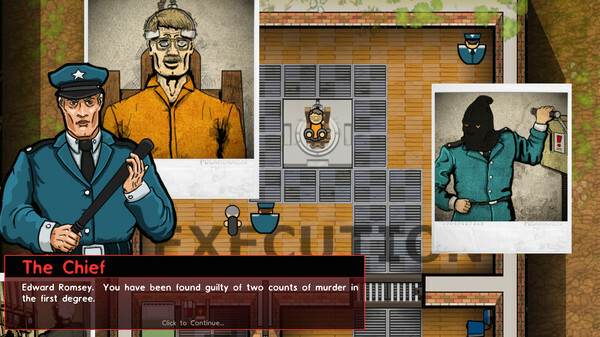 Basically, a sim game focused on prison. Quell riots, search inmates for drugs, administer the death penalty, and expand the prison into a profitable institution bent on keeping criminals in. Oh, no! A riot! Find a way to stop it before the whole place burns to the ground. Give him the chair. No regrets. 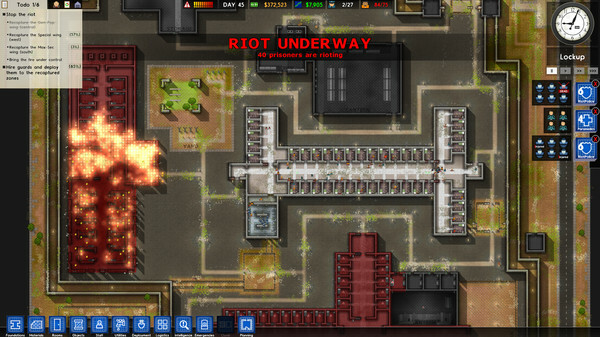 Prison management at its best. 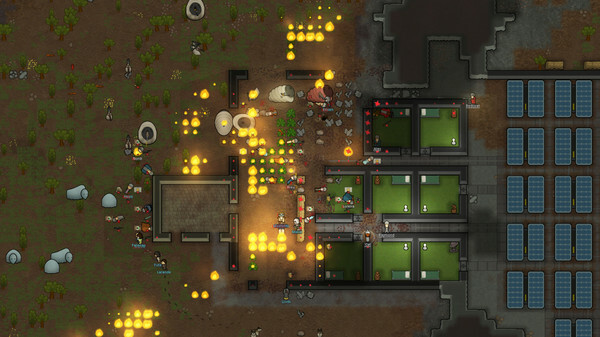 First Trailer for Rimworld opens with a fight and quickly shows what the game is about. Thousands of years in the future, humanity has expanded into the stars and colonized countless new planets. However, since faster-than-light travel remains an unsolved problem, each planet is left mostly alone to grow and develop in isolation. Because of this, some worlds are fantastically advanced to the point of being alien, while others managed to bomb themselves into the stone age. 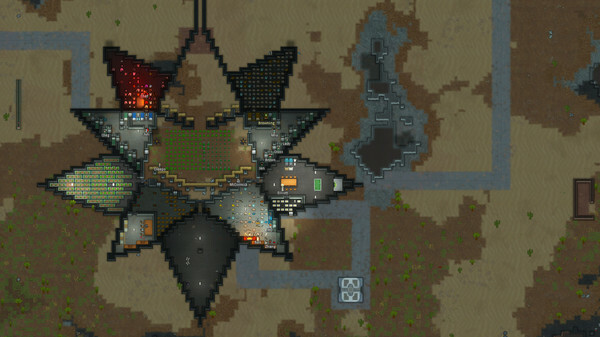 Your ship happens to crash on one of these stone age planets, and although you aren’t colonists by profession, your escape pods are well-equipped to help you survive while you get the hang of things. And well, basically your goal is to survive on the off chance that help arrives or you can fix your ship and get back into space. 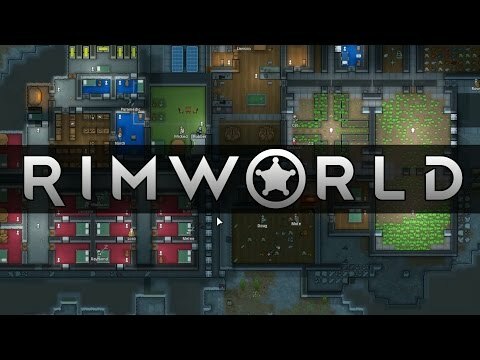 Rimworld is a colony building simulator inspired by games like Dwarf Fortress. 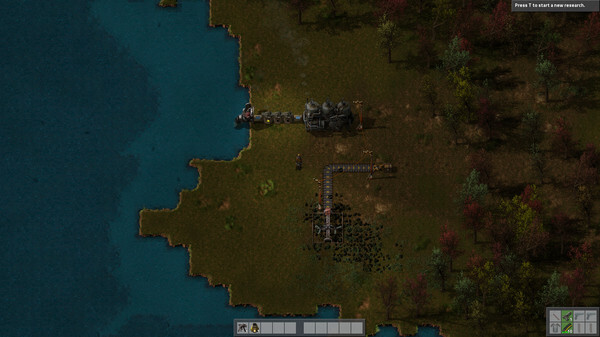 Your role as the player is to manage your colony’s resources and weapons to best help the inhabitants survive the unforgiving and alien world they crashed on. No one said you couldn’t survive in style. 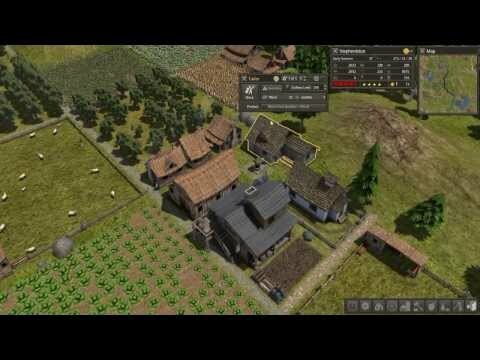 Some brief gameplay featuring some farming and fighting. In a wartorn world, you are a sailor tasked with taking your princess to her betrothed. In the aftermath of a vicious storm, in which assassins have attacked and killed most of the crew, you awaken on an uncharted island that houses an unspeakable evil. You know, RPG stuff. 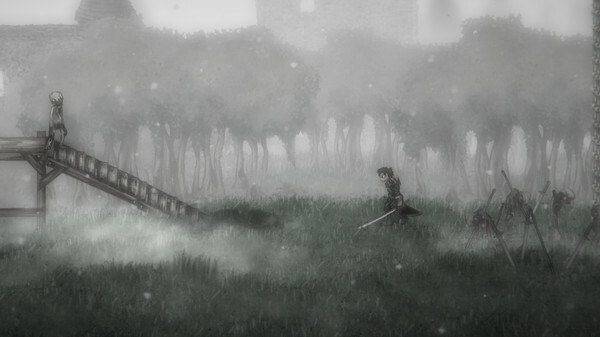 Salt and Sanctuary is an action RPG by Ska Studios. You create your character, give him a class, and start playing with little direction other than “find the princess”. Instead of experience points, you use Salt to level up, and if you die, you lose Salt and enemies can pick it up to become stronger. Sanctuaries are your checkpoints here, where you can heal and level up, or just hang out before you have to go forward and, most likely, die horribly. It’s a very hard game. There’s also a multiplayer side to the game, and in a pleasant twist it’s couch co-op, a feature not often seen these days. It’s a little buggy, but still a lot of fun. A warrior advances toward a zombie thing on his way to save the princess. He’s got a whip and a crossbow! How cool is that? 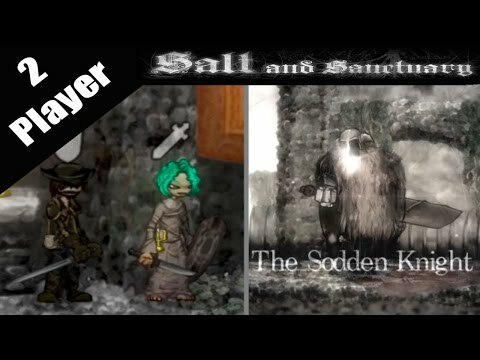 A co-op fight against the Sodden Knight boss. I’ll say this for it, card games have rarely been this interesting. You play cards and act out what the cards say. 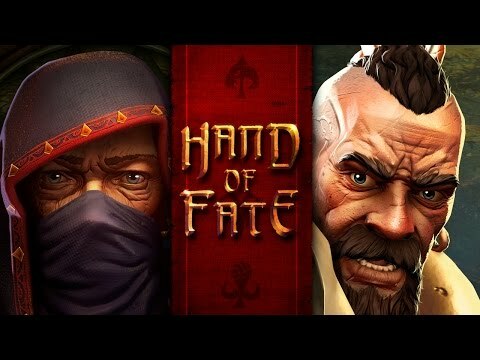 Hand of Fate is a really cool combination of card battle game(think Magic) and hack’n’slash. 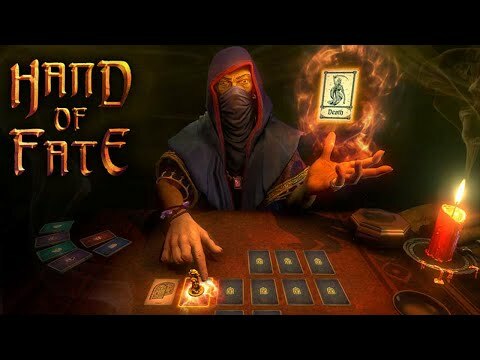 The very basic idea is this: you form your decks of cards and play against the dealer, using your cards to get you through a dungeon. 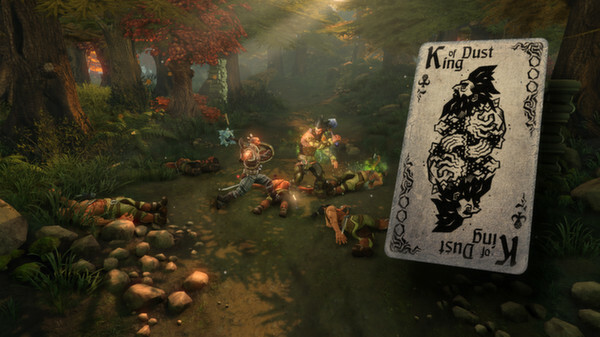 In battle, the cards switch from cards to actual models and gameplay goes into a more traditional hack and slash style. Replay value on this one is pretty high thanks to the endless combinations of unlockable cards, and a sequel has been announced for 2017. The King of Dust has been played. Note the dead bodies. The card side of the game. 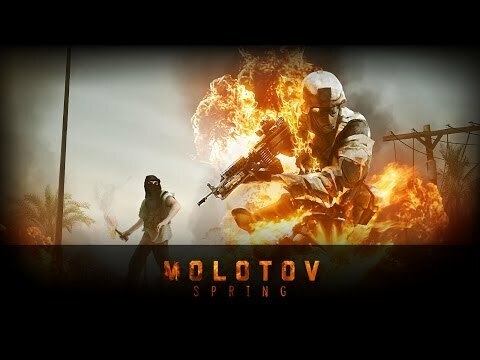 Early access gameplay from a couple years back, but it still shows how cool the game is. We can rebuild. We have the technology. Or the resources, whatever. You and a group of people have been banished from your homeland. All you have are a few short months worth of supplies. Start building. 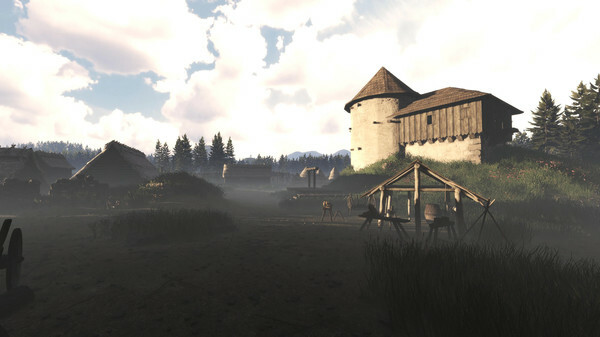 Banished is a city building game. Start with a ragtag group of exiles and turn it into a thriving civilization. 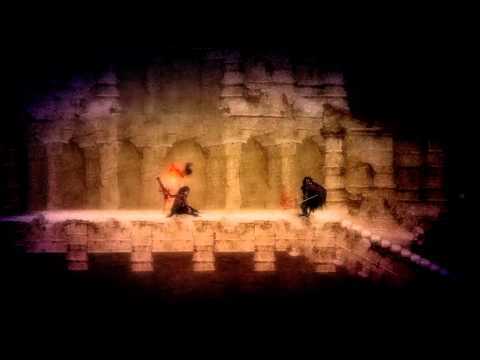 This game follows over many generations; people are born, live, and die. Said people are also your most valuable resource, as there are no skill trees. Anything can be built at any time if your people have managed to gather the tools and resources to do so. 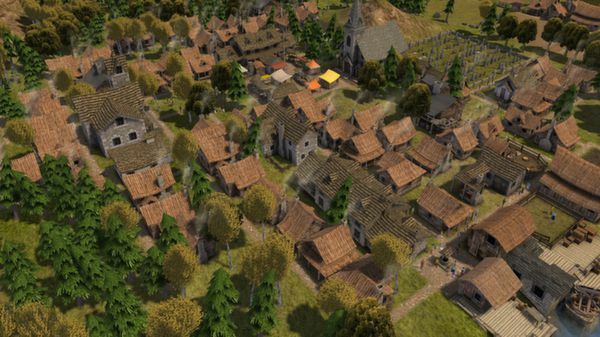 In the end, Banished is all about keeping your population alive against whatever nature throws at you. And you can even get horses?! Nice! So it’s a board game about really dark fairy tales? Sweet. Take a side from among the animal clans and embark on a quest to become the next ruler. The king is sick and dying. He’ll probably be gone in eight days, and when he finally kicks the bucket, the most heroic hero will take up the crown. Or, you know, whoever kills the king and takes the crown by force first, either one. 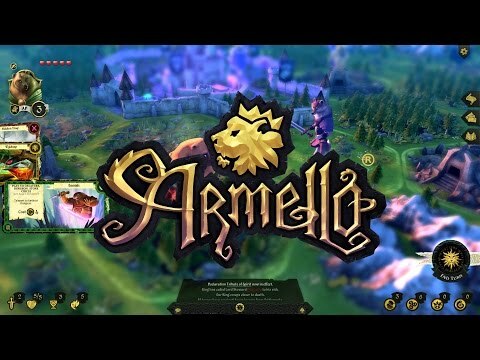 Armello is a mix between tactical card games and table top RPGs, with a dose of fairy tale mixed in for good measure. 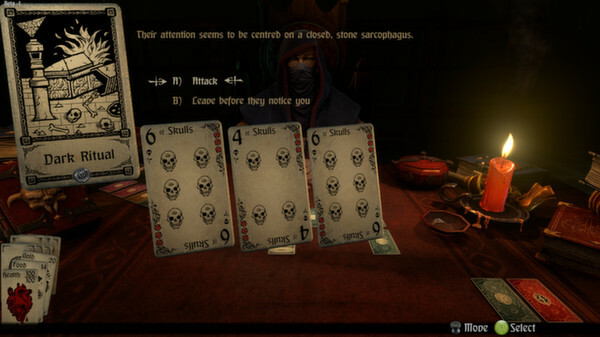 Your hero can use cards as special abilities to aid in your quest, from trickeries to spells to just general items. In the game’s day/night cycle, you can move around and be active while the sun’s up, but when it goes down, instead of just being an end-of-turn kind of thing, you can still use certain items and perform actions. The game is fast paced and fun, yet challenging. Give it a shot. Oh, damn, there’s about to be a showdown! 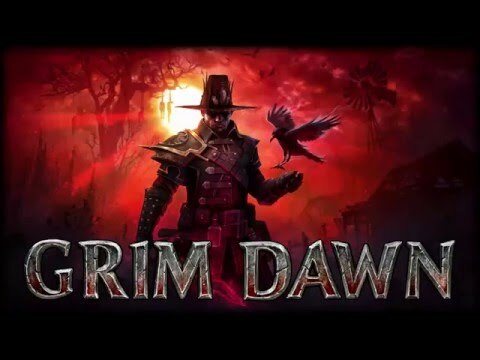 About half an hour of gameplay. 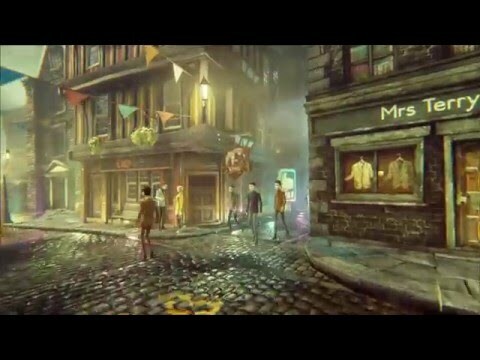 Note the stylized graphics, it’s really kinda cute. 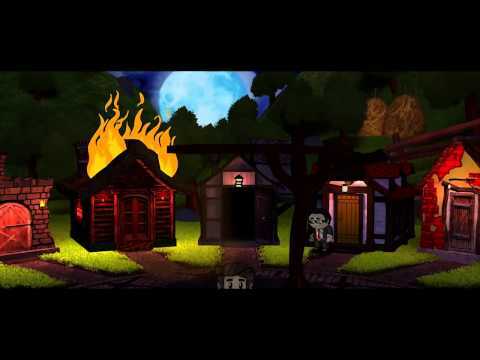 A seemingly innocent town… That will now proceed to hang each other for a few days. 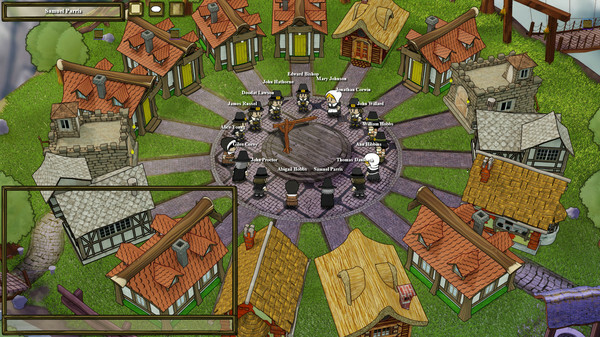 It was a dark, quiet night in the Town of Salem, when the mafia strikes! Nobody knows who the mafia is, so the next morning when the murder is discovered, everyone meets in the center of town to decide who did it, and hang him. 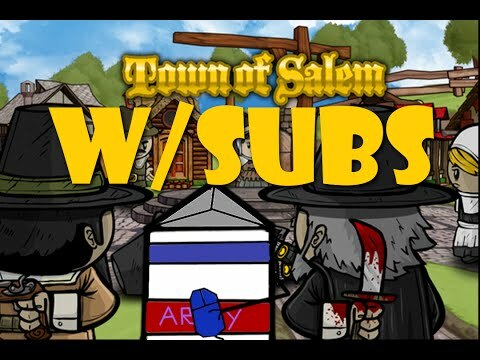 Town of Salem is an online version of party games “Werewolf” and “Mafia”, where the players are divided into alignments at random. You might get the mafia alignment, or the sheriff alignment, or serial killer or just neutral, to give some examples. Your goal is to root out the killers and bring them to justice, by hanging. Unless you’re the killer, then your goal is to cast suspicion on the others and kill the whole town. Just another quiet night, nothing suspicious going on here. 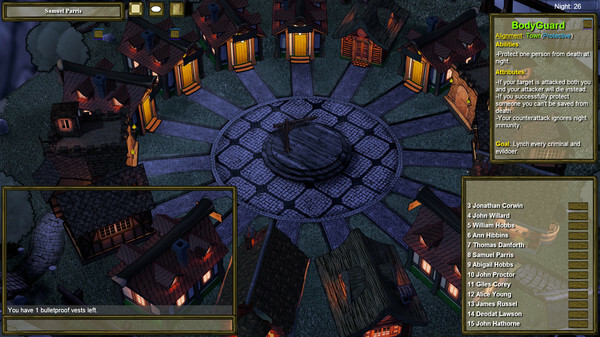 A man plays as a mafia aligned villager. Never fails. Group of armed men ride past you while you’re working? It means war. 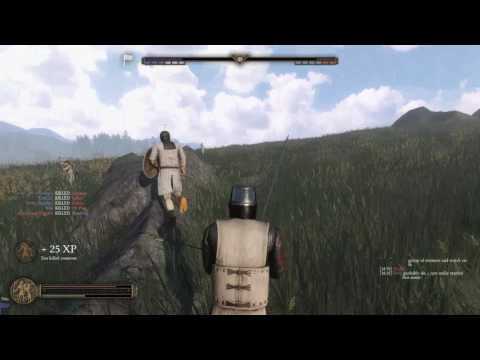 Of Kings and Men is a “persistent medieval warfare” game in which players are divided into factions to build up defenses and fight each other. 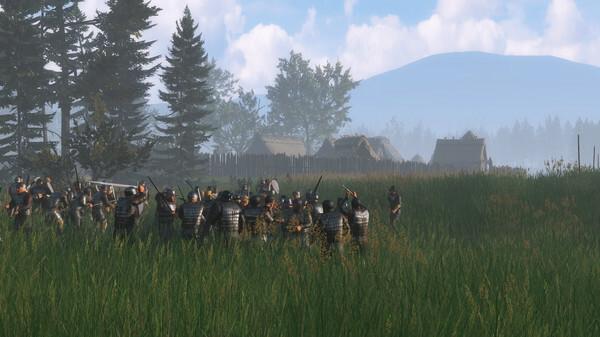 Up to 200 players can fight it out at once in large scale open battles or sieges. This game is very promising and a lot of fun, even in Early Access. Just a skirmish, but it may escalate and destroy the village. The result of a lot of hard work by a player faction. 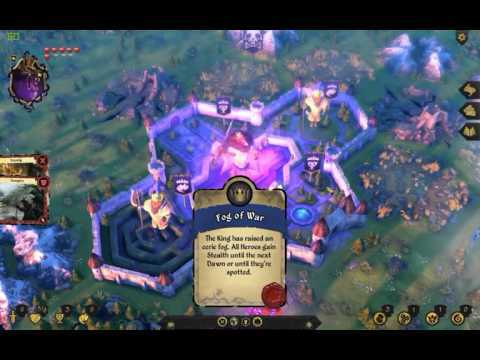 Early Access Day 1 footage shows a battle in progress. Are you taking your Joy, like you ought to? In the town of Wellington Wells, everybody is happy, everybody has Joy. You do too, right? After all, you don’t want to be a downer, do you? 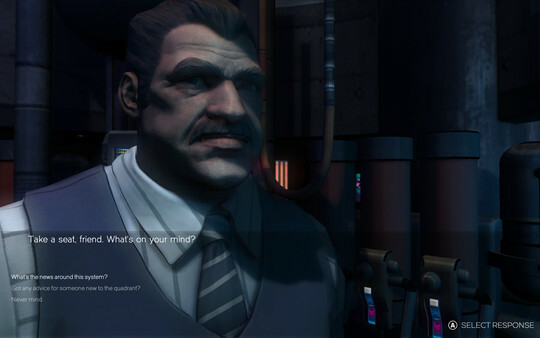 Arthur Hastings, the player character, is a downer. He refuses to take his meds like the other citizens, and wants to escape the town. Of course, the other citizens don’t like that. Nobody likes a downer, after all. And they’re willing to kill you to keep the town happy. 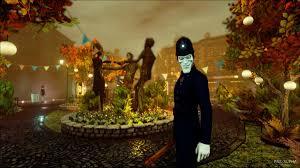 We Happy Few is a first person survival game featuring a procedurally generated world and permadeath. 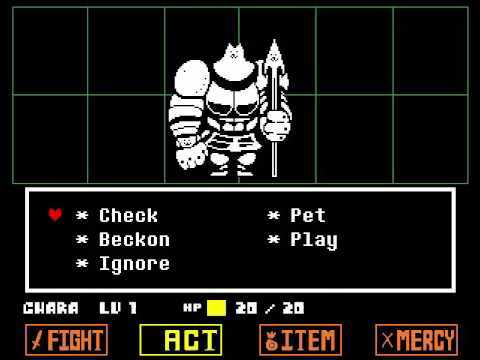 That’s right, you die in the game, you start over. Really helps with the paranoia. You can sneak your way through town, or you can fight. If you want, you can also conform by taking your Joy, though that runs the risk of overdosing and becoming like all the others. Of course, you can defend yourself. Traps, blunt weapons, the usual things you might find in a horror game. But defending yourself might give you away as a downer, leading to the police and townsfolk turning you into their pinata. 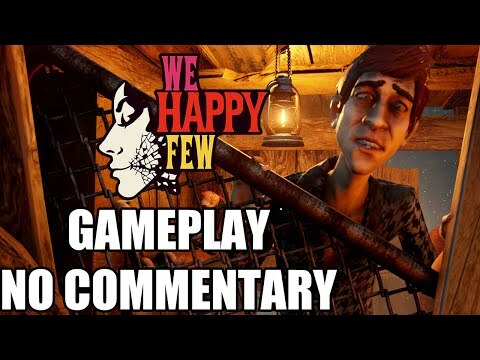 Everything is perfect and happy in Wellington Wells, as you can see in the early access footage. 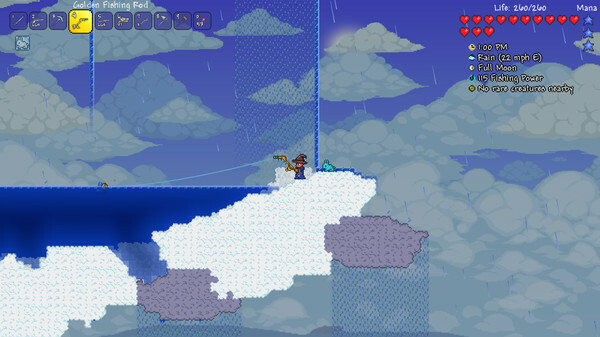 To elaborate, you’re on a world with nothing but a pickaxe. Build a home, build weapons, make a farm, and explore. You might find anything, up to and including gigantic demon monsters. There is obviously a heavy focus on crafting, but there’s just as much as on increasing your health and mana to better deal with the challenges you’ll face. As a bonus, every world you make can be shared with friends in multiplayer and visited with any other character. "Fishing's pretty simple, you just do what I say..."
Not just a house, but a home. 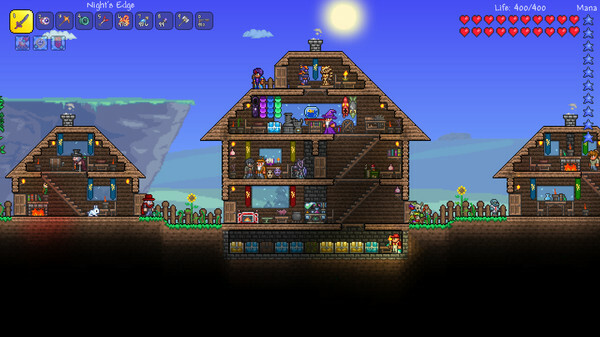 Complete with treasure chests and friendly NPCs. 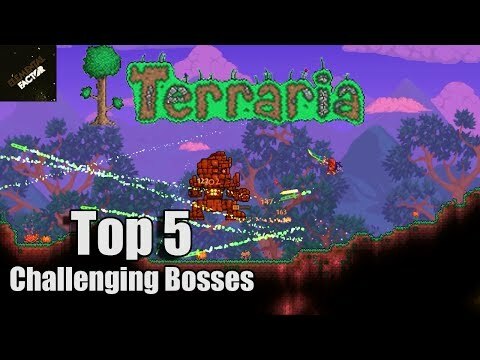 Here’s a top five countdown of bosses in Terraria. Your First Day In Rust shows a montage of the things you might get up to in game, from crafting to shooting some poor sap. You wake up naked in the middle of nowhere. You must survive. Do whatever it takes. Gather resources, cook food, make a small hut, and call it home. 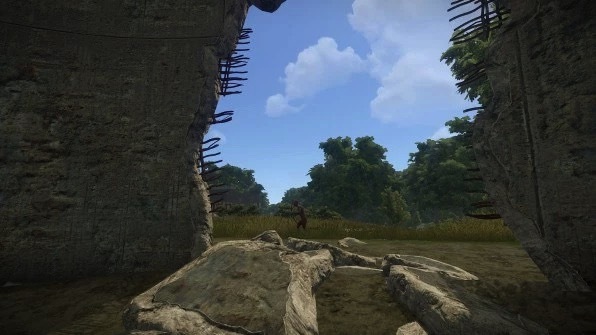 Inspired by games like DayZ and Minecraft, Rust is a survival game with a heavy focus on crafting. You may have noticed from the previous paragraph. And much like in DayZ, if you see another player, kill them. Show them no mercy, because they will show you none. Seriously, I can’t stress that enough. 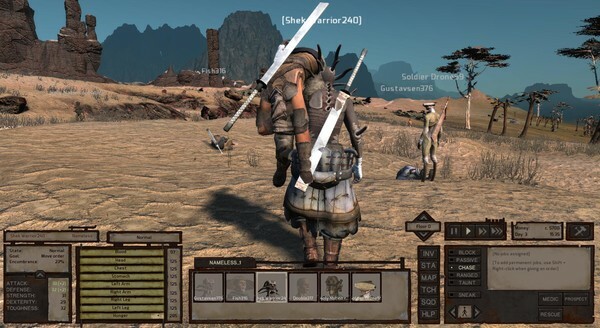 Just like you, they’re on the very edge of survival and have turned into animals, so when you see some other player in your game, pin him down and bash his head in with a rock. Then take his stuff. He probably deserved it anyway. Although it’s still in Alpha and available on Steam Early Access, Rust is still one of the most popular indie games there is. And since it is still in Alpha, things get added to it all the time. 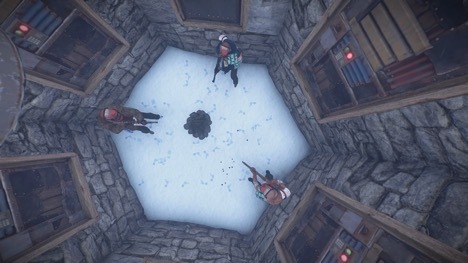 These three players are either about to die, or about to cook some food and then kill each other. 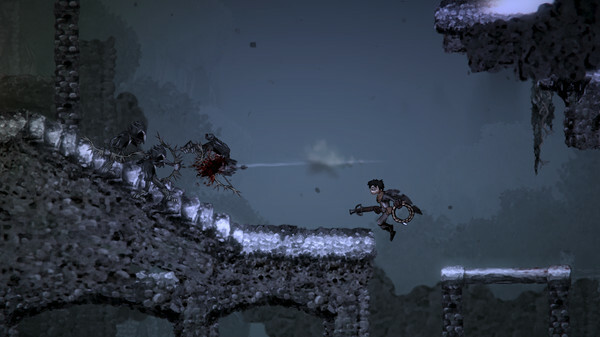 A player, with a bow and almost nothing else, wanders through the modern ruins in search of resources. 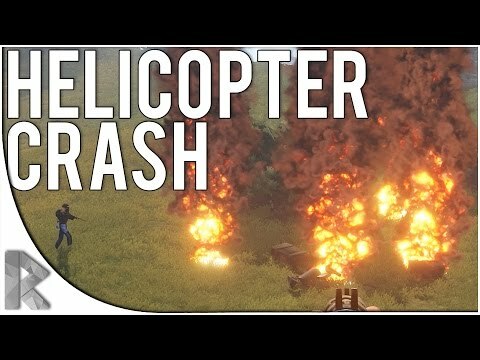 In this video, players fight to take down a freaking attack helicopter. This is possibly the most relaxing trailer I’ve ever seen. 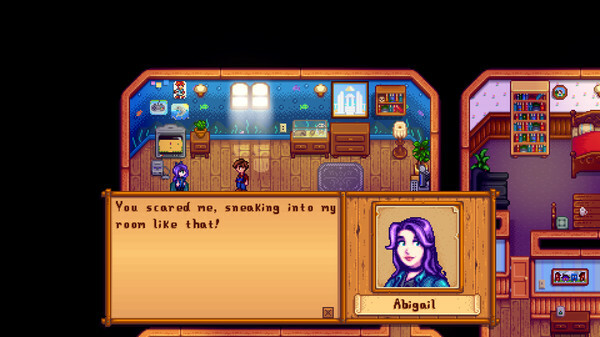 You’ve just moved into Stardew Valley to start your own farm. 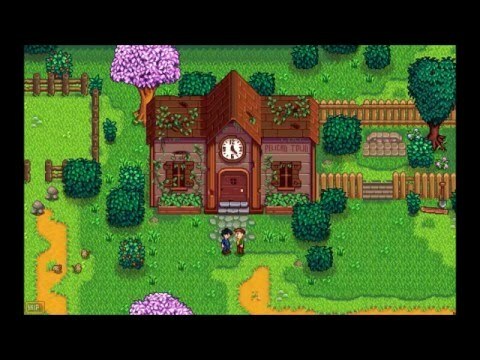 Over the course of the game you get to know the residents of Pelican Town, which has fallen a long way from what it used to be. Your actions throughout the game determine whether and how well it can bounce back. 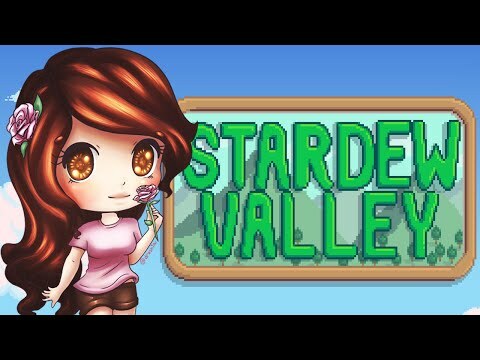 Stardew Valley is a farm simulation game. 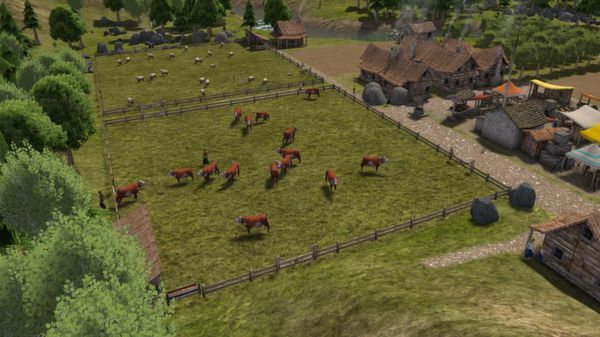 You make and manage your farm, interact with the townspeople, and just generally relax and have a good time. And if you want to get your combat on, don’t worry: there’s a system of caves underneath the valley where you can collect valuable resurces and battle monsters. Seriously. This game is a fantastic way to chill out, and for bonus points, a co-op mode is being implemented in a future update. 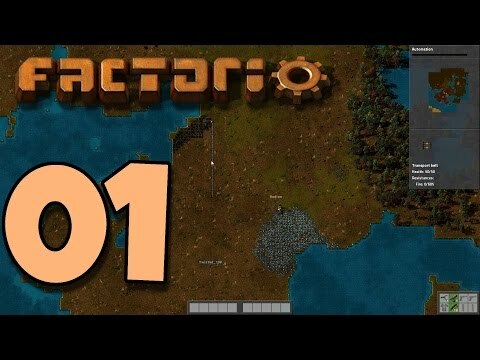 So, a giant factory sim. Nice. So basically, you survived a spaceship crash on a planet with a lot of animals that dislike pollution and noise. 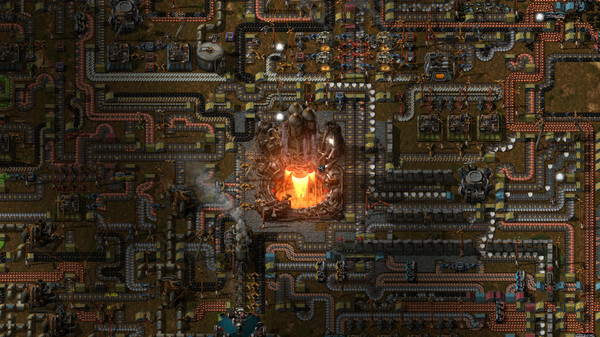 So what else can you do but build a massive factory system to try to regain spaceflight capabilities? 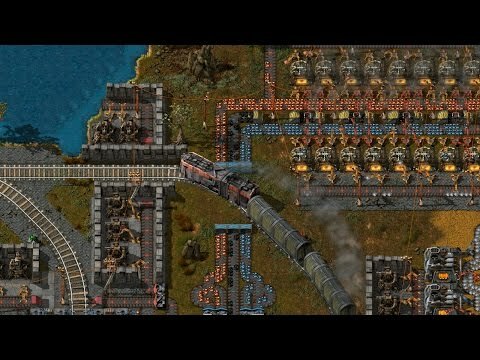 Factorio is a factory simulator in an infinite world. Build systems that build more complex systems, that build even more complex systems, and so on. Your main goal of course is to escape the planet, but the indigenous species really don’t like you, so you may also want to build a defense system. You wanna get from this…. 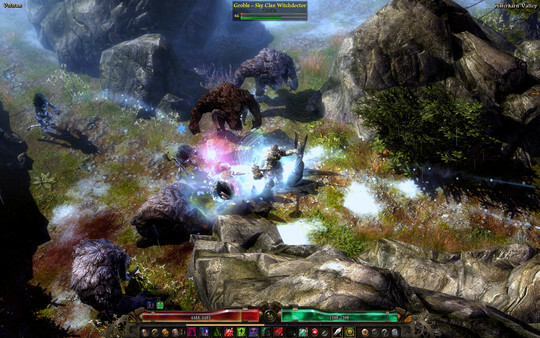 The gameplay trailer shows the first few minutes of the game in Early Access footage. A flight went down on an isolated island. The only survivors are you and the child seated next to you, who is now missing, taken by an indigenous tribe of cannibals. In short: How long can you survive? 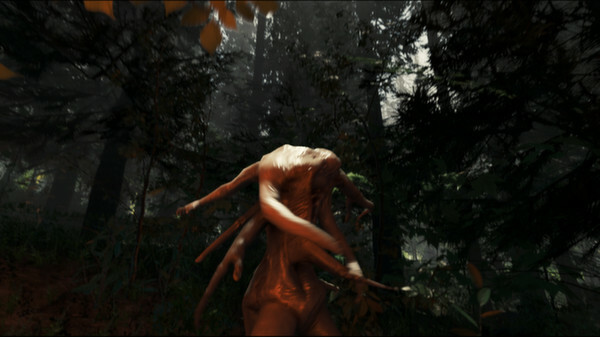 The Forest is a wide open sandbox survival horror game, which is a pretty cool combination. 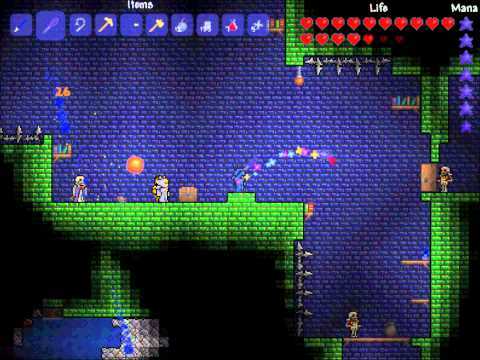 You collect different resources to build a shelter, cook, and craft weapons and traps. 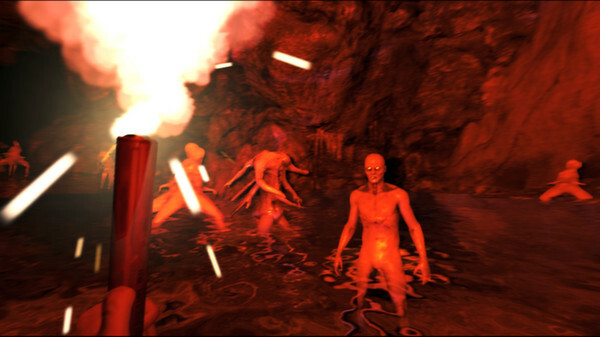 All the while, a tribe of creepy mutant cannibals is hunting you. 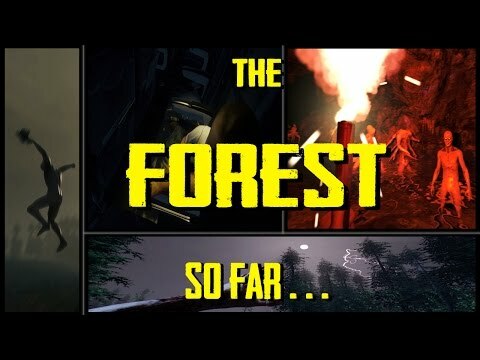 The Forest was released in 2014 on Steam and remains a pretty strong horror game even two years later. Trapped in a cave with mutants? No problem, just run away because I don’t know what the Hell that is behind the first guy. NO SERIOUSLY WHAT THE HELL. Montage of a silly player getting into trouble. No, seriously. Play this game. The concept is, you’re a child who fell through a hole on a mountain into the world of monsters. Basically, you must find a way back home. 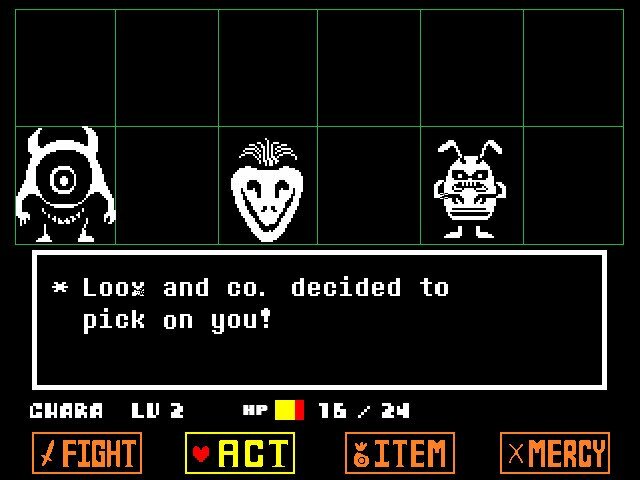 Undertale is probably the most well known title on this list, and for good reason: It’s freaking amazing. 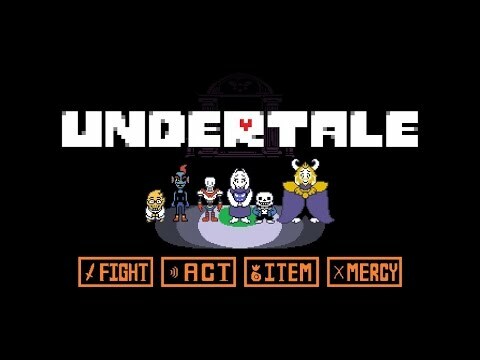 Simple gameplay and art style meets a fantastic and emotional story that changes each time you play through, depending on what you did on the previous one. It’s hard to say more without spoiling the game, so I’ll just say that this is probably the best game of 2015, hands down, and that includes other titles like the Witcher or Metal Gear Solid, or even Fallout. Bullies… Picking on a little kid like that. 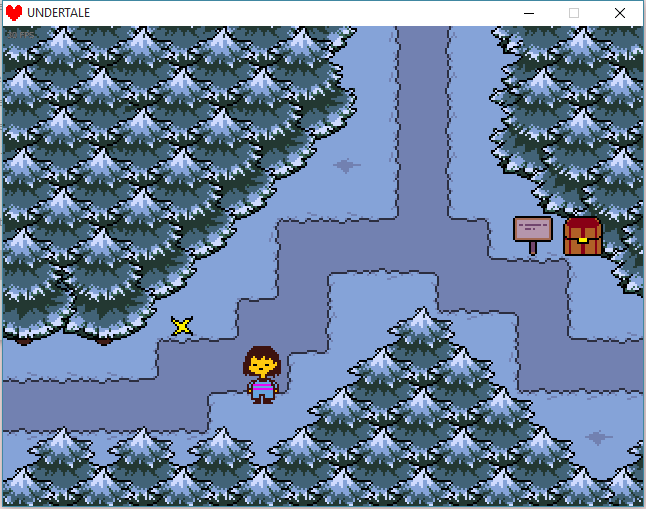 Look at the winter wonderland, hard to believe you fell into a cave and found this. So you can see, there’s plenty of alternatives to the same old stuff that big name companies churn out every year. You just gotta look a little deeper and you’ll find a treasure trove of amazing game experiences.